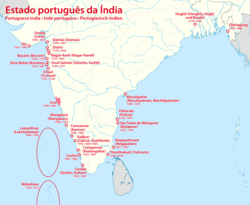 ^ Lambert Mascarenhas, "Goa's Freedom Movement," excerpted from Henry Scholberg, Archana Ashok Kakodkar and Carmo Azevedo, Bibliography of Goa and the Portuguese in India New Delhi, Promilla (1982) Archived 2012年2月14日, at the Wayback Machine. ^ Government Polytechnic of Goa, "Liberation of Goa" Archived 2007年9月28日, at the Wayback Machine. ^ Jagan Pillarisetti, "The Liberation of Goa: 1961" Bharat Rakshak, a Consortium of Indian Military Websites Archived 2012年1月7日, at the Wayback Machine. 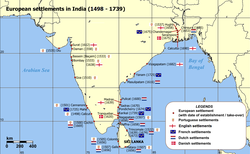 Dutch Portuguese Colonial HistoryDutch Portuguese Colonial History: history of the Portuguese and the Dutch in Ceylon, India, Malacca, Bengal, Formosa, Africa, Brazil. Language Heritage, lists of remains, maps.